SKOKIE, IL--(Marketwire - April 28, 2008) - NanoInk, Inc., an emerging growth technology company specializing in nanometer-scale manufacturing and applications development for the life science and semiconductor industries, announced today the appointment of Russel A. Bantham to its Board of Directors. "We're thrilled to have Russel Bantham join our esteemed Board of Directors," said Jim Hussey, CEO, NanoInk. "With over 35 years of experience and leadership in the health care and pharmaceutical industries, Russel will be a valuable asset to our board." Mr. Bantham worked at the Pharmaceutical Research and Manufacturers of America (PhRMA) from 1995 to 2005. As its executive vice president and COO, he was responsible for operations and had a staff of 160 with an annual budget in excess of $200 million. 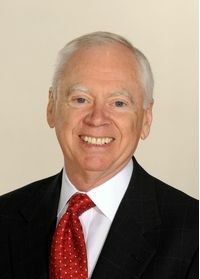 Before becoming COO at PhRMA, Mr. Bantham was senior vice president, general counsel and secretary where he was responsible for legal affairs and general management of PhRMA including strategy; science and regulatory affairs; and federal, state and international legislation and regulation. Prior to PhRMA, Mr. Bantham spent 25 years at Bristol-Myers Squibb in a variety of positions, most recently as vice president and associate general counsel. "Having spent the majority of my career in the health care and pharmaceutical industries, I understand the unique challenges NanoInk faces in bringing its brand protection solutions to the marketplace," said Bantham. "I look forward to advising the management team in its efforts to fuel the company's growth." NanoInk, Inc. is an emerging growth technology company specializing in nanometer-scale manufacturing and applications development for the life science and semiconductor industries. With DPN®, a patented and proprietary nanofabrication technology that allows for unmatched flexibility and accuracy, and also its high-resolution Nanoencryption technology, NanoInk is able to offer its pharmaceutical customers innovative solutions to fight counterfeiting and illegal diversion of blockbuster pharmaceutical products. Other key applications include nanoscale additive repair, and nanoscale rapid prototyping. Located in the new Illinois Science + Technology Park, north of Chicago, NanoInk currently has over 100 issued or pending patents and patent applications filed worldwide and has licensing agreements with Northwestern University, Stanford University, the University of Illinois at Urbana-Champaign, and the Georgia Institute of Technology. For more information on products and services offered by NanoInk, Inc., see www.nanoink.net.